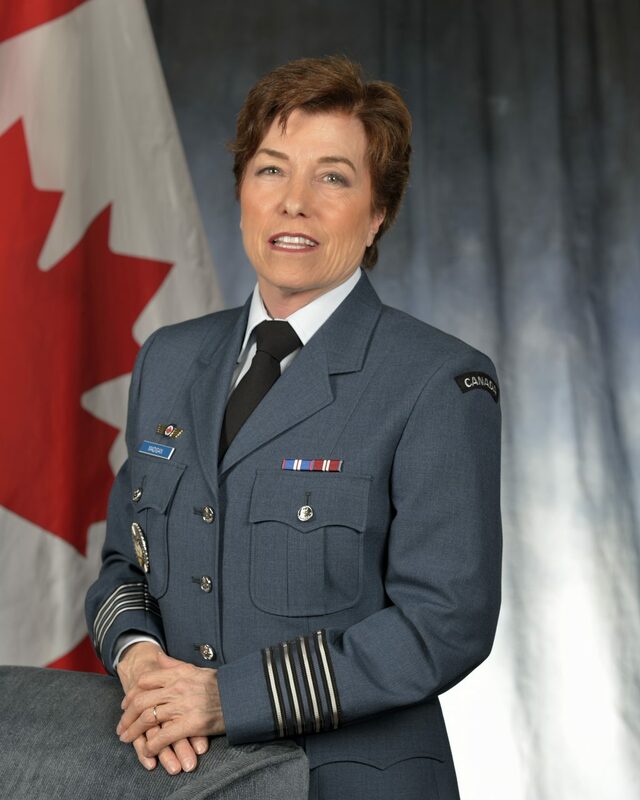 Ms. Madigan was appointed as Honorary Colonel of 21 Aerospace Control and Warning Squadron, at 22 Wing North Bay, ON in February 2016. Honorary Colonel Madigan, owner and facilitator of Living Fit from the Inside-Out Women’s Club, was born in Sudbury ON and graduated from Nipissing University with a Bachelor of Arts degree in philosophy and psychology. She also attained a Horticulturalist certificate from the University of Guelph. Honorary Colonel Madigan was a supply and adult education teacher with the Near North District School Board for 15 years until 1996 and coordinator for specialty skills and interest programming for the School Board during nine of those years. Honorary Colonel Madigan is extremely active in the North Bay community, particularly in the horticultural and city beautification programs. She founded or co-founded several programs including the North Bay Heritage Gardeners, Communities in Bloom and the Community Waterfront Friends that included the development of Community Waterfront Park and the Pergola project. She was also the founder and past-chair of the Nipissing Botanical Gardens and currently is involved in a Strategic Planning initiative for the City of North Bay. Living Fit from the Inside-Out is a whole person wellness service for women over 50, providing physical activity, access and information to and about the wealth of mental and spiritual well-being resources in the North Bay community. Honorary Colonel Madigan has been recognized for her community support through the awarding of the Paul Harris Fellowship by the Nipissing Rotary Club, the Community Builders Award in 2003, Kiwanis Citizen of the Year in 2012 and the Order of Merit award by the North Bay Davedi Club in 2013. She is also the recipient of the Queen’s Jubilee medals in 2002 and 2012. Honorary Colonel Madigan and her family reside in North Bay, ON. She is dedicated to and passionate about her family, Lee, Sean, Christian, and Sheri and 7 beautiful grandchildren, and she extends that passion to building strong social connections to community.